Budapest is a pretty city – straddling the Danube, it grew up as two separate cities: hilly, rich Buda and flat, poorer but more artistic Pest. 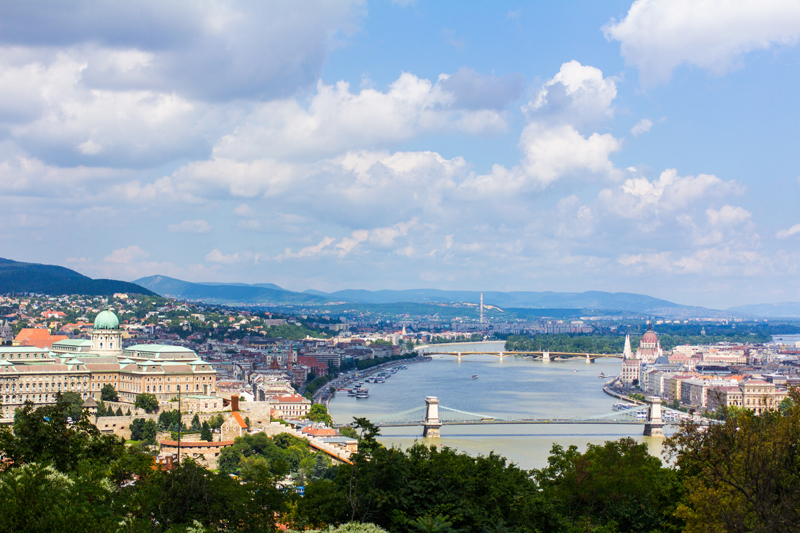 This state of affairs remained until the denizens of the city built the first of many bridges – the Chain bridge – across the Danube and united the two cities. Bang smack in the middle of the Danube, though, are a number of islands. And one of them was home to me for a week. Oh and I had Prodigy, Korn, Queens Of The Stone Age, Blink 182, Macklemore and Ryan Lewis and a host of smaller, European bands for company. I first heard about Sziget when I was doing my research on where to listen to good music, in fittingly epic surroundings. 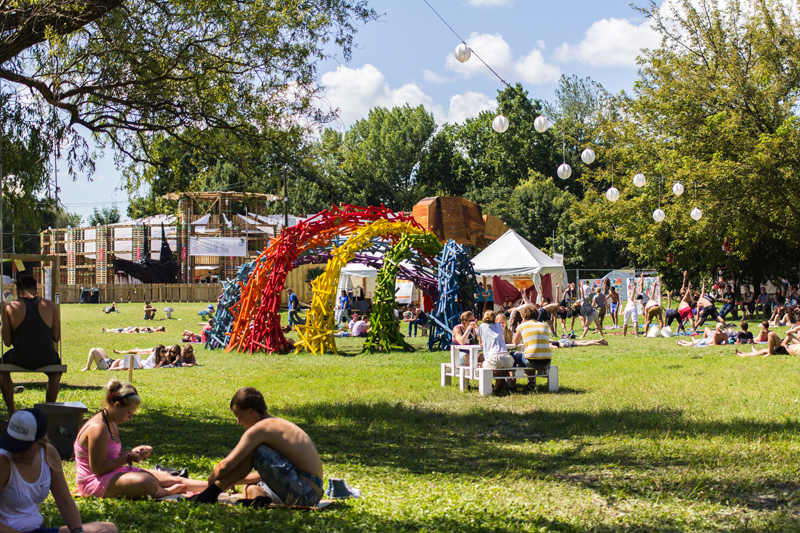 Sziget (the word means ‘island’ in Hungarian and is pronounced ‘see-get’) fulfilled both criteria. It’s a week-long festival, so every day has a great headlining band and a number of smaller bands across the 10-odd stages. Great music was guaranteed. The entire festival takes place on an island, with a beach, a giant wheel, bungee jumping, adventure sports, regular sports, an arts scene that, while not on the scale of Burning Man, certainly shares its intensity and, best of all, everything is cheap! The Hungarians have their own currency, the Hungarian Forint, which is basically extremely undervalued against the Euro – to the tune of 300 Forints for one Euro. Inflation is pretty high, so you can expect to pay a couple of hundred forints for a meal – nonetheless, that works out to about Rs 150 or so, which is still cheap! After having camped at Tomorrowland in Belgium, I thought I was slightly prepared for what to expect at Sziget. But I was so wrong. 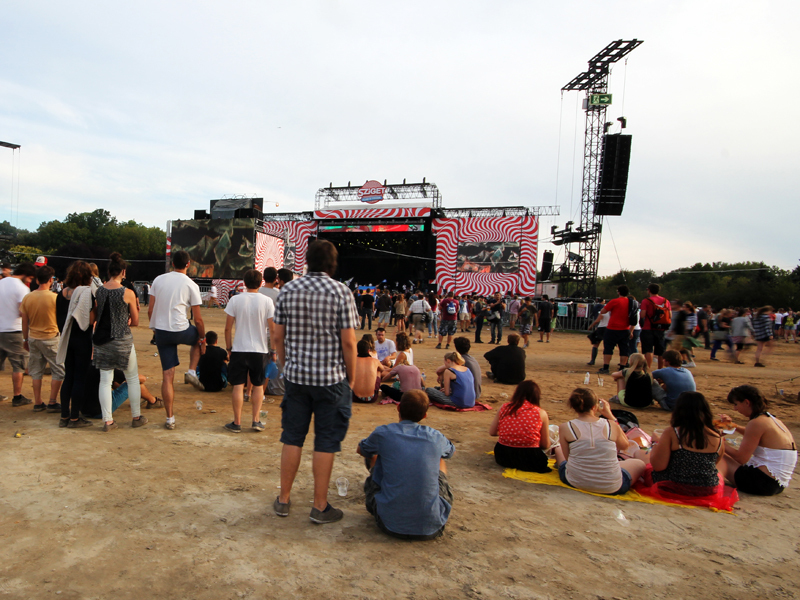 For one thing, Sziget is a lot bigger. It doesn’t have the hype that Tomorrowland does, but it takes place on a grander scale and for longer. The entire island was filled with tents – my own a mere dot among the thousands. Camping was less organized, with people erecting tents anywhere they could find room. I woke up one morning to find the small space that I had reserved in front of my tent door for my cup of coffee had been usurped by a one-man tent and that my new neighbor, a French guy from Toulouse, was a profound snorer. Welcome to festival life. There were also far more people at Sziget, it seemed, and far more to do. There were art workshops, where I built clay figurines and concrete molded pendants. I learned simple crafty ways to build ashtrays out of beer cans, a skill that will no doubt endear me to beer drinking smokers, once I return home. I spent a lot of time gawking at the various pieces of art that had come together in what seemed to be a very impromptu manner. My routine was to wake up early, grab a breakfast (or just coffee) and then head into town. Budapest is a lovely city, full of trams, cheap food, old buildings and history. After a full day of walking about, I’d return to my tent by about 5 to get ready for the night’s debaucheries. Which largely consisted of listening to some amazing artists. My absolute favourite concert of the whole festival would have to be Queens Of The Stone Age – they aren’t new to touring in Europe and were top of their form, delivering an awesome display of energy and sound. I could write paragraphs upon paragraphs about Hungary, Budapest and Sziget, but everything I could say would fall short of the experience of being there. If you need any more incentive to book tickets for Budapest next year, consider this: as large as Sziget is, its still considered a pretty undiscovered festival, especially in India – I saw just one other Indian at the festival, total. If nothing else, hipster bragging rights demand that you go there before it becomes cool!